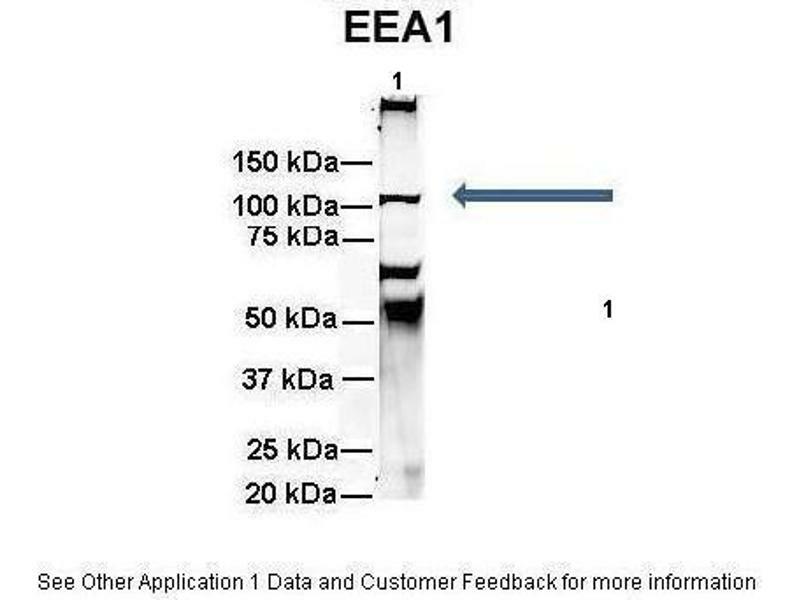 Rabbit Anti-EEA1 Antibody Formalin Fixed Paraffin Embedded Tissue: Human Adult Liver Observed Staining: Cytoplasm in hepatocytes, moderate signal, moderate tissue distribution Primary Antibody Concentration: 1:100 Secondary Antibody: Donkey anti-Rabbit-Cy3 Secondary Antibody Concentration: 1:200 Magnification: 20X Exposure Time: 0.5 – 2.0 sec Protocol located in Reviews and Data. 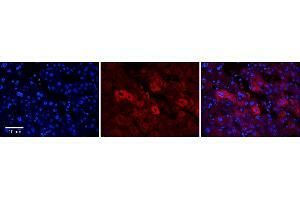 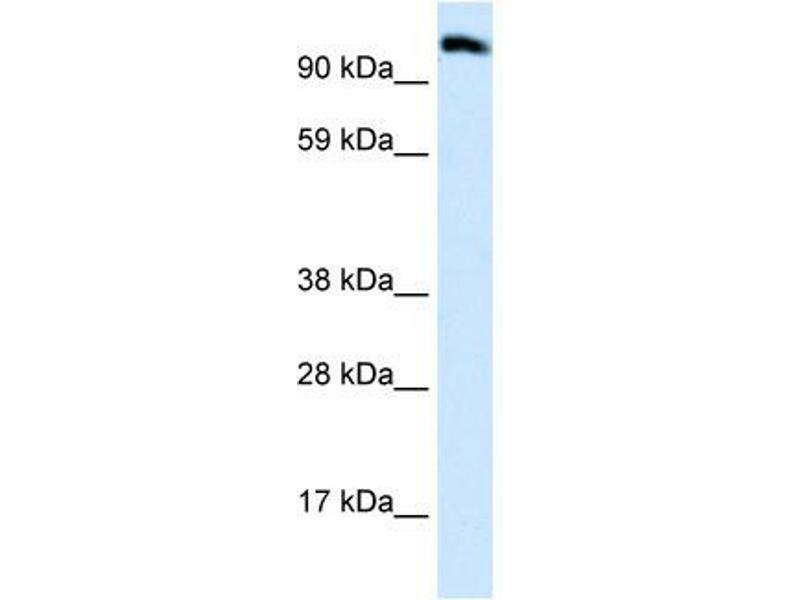 Characteristics This is a rabbit polyclonal antibody against EEA1. 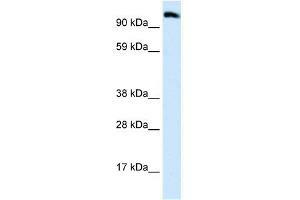 It was validated on Western Blot using a cell lysate as a positive control. 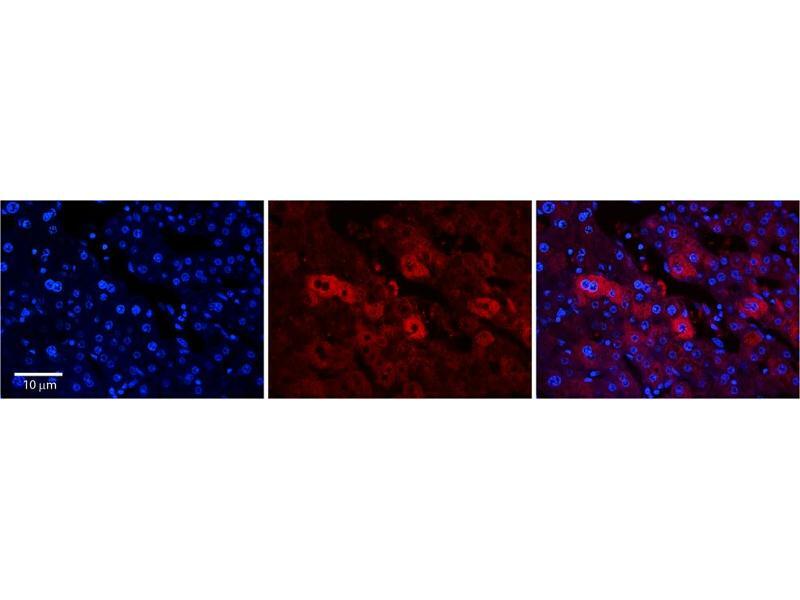 Background EEA1 is involved in neuronal synaptic vesicle function and axonal transport and growth. 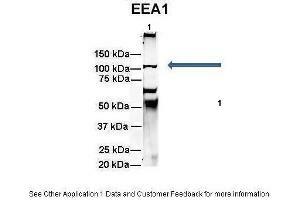 EEA1 may undergo calcium-dependent conformational changes that are required for binding to SNAP-25.